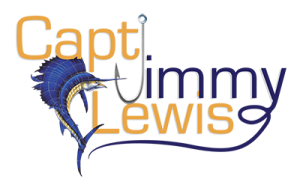 If you are planning to go fishing just call at least one day in advance and Jimmy Lewis will arrange to deliver your bait in the downtown to South Miami area or he will meet you at a mutually convenient location. Pilchards are $20.00 per dozen. Jimmy Lewis offers a special – The $120.00 load, which consists of two dozen goggle eyes and two dozen pilchards, a great assortment of bait to catch whatever you are fishing for. If you need dead goggle eyes for bottom fishing or trips to the Tortugas just call Jimmy Lewis a few days before and he can meet you at Bayside Marketplace/Miamarina, where you can get as much as you need. We provide special pricing on dead bait depending on when you need them. Call 305-725-8807 for details. Most weekends Jimmy Lewis can be found at Bug Light off Miami, between 6:30 and 10:30. He can be reached by calling his cell at 305-725-8807 or by calling Lewis Live Bait on Vhf channels 71 and 80. Captains and mates know that the best way to win tournaments is with fresh live bait, no matter if it is goggle eyes for sailfish or blue runners for kingfish. That’s why they call Lewis Live Bait. Whether you need 2 – 5 dozen per day for yourself or you need bait for your entire tournament Jimmy Lewis can handle it. The key to success is order early to guarantee you have bait, up to one month before the tournament but no less than one week before the tournament. We may be able to take care of you at the last minute but we cannot guarantee it. Tournament bait prices vary, but the customers who order early get the best prices. Just call Jimmy Lewis at 305-725-8807 to place your order or for additional details.